We’re currently updating this list to 2019. If you’d like a manual that isn’t current, email the team and let us know and we’ll upload your state. If you’d like to volunteer to help us with this – let us know and thank you! To have the manual read to you from the pdf, click on the “Reciteme” button in the upper left of this web page. To disable text to speech, click the X in the upper right. 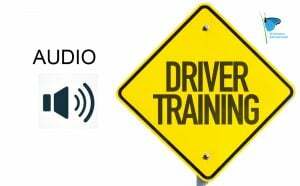 Thanks to the Pennsylvania Literacy Coalition’s links to state audio version of the drivers manual. ** For Text to Speech versions – WAIT to allow Reciteme to translate the pdf into listening format. Longer Manuals Take Longer** Also every effort has been made to link to the most current driving manual. Please contact us for any corrections. To listen to manuals noted “text to speech”, you must first ‘Enable Recite’ at the top of this page at Top Left. To disable Recite, click the X at Top Right. *** Please let us now if we need to update a Drivers Manual to a more current version. *** Last updated September 25, 2017.